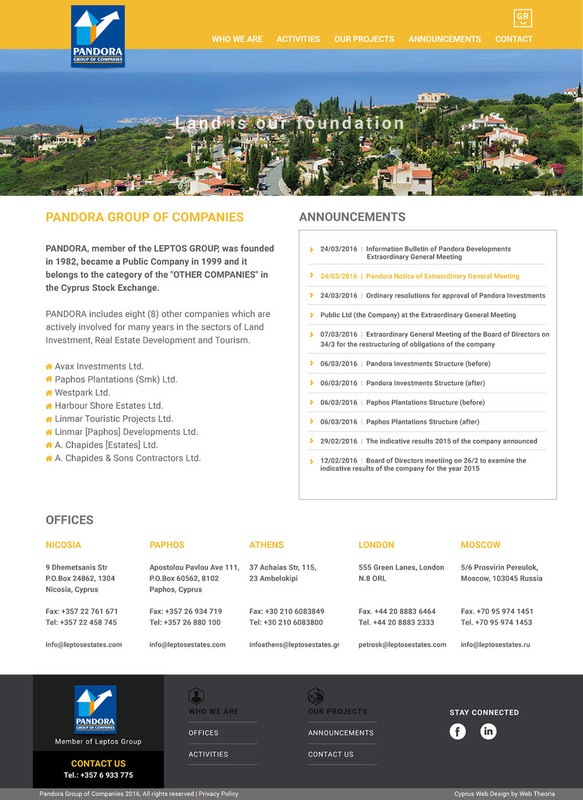 The PANDORA Development Group is a large investment group which is mainly involved in the sectors of Land and Real Estate Development. 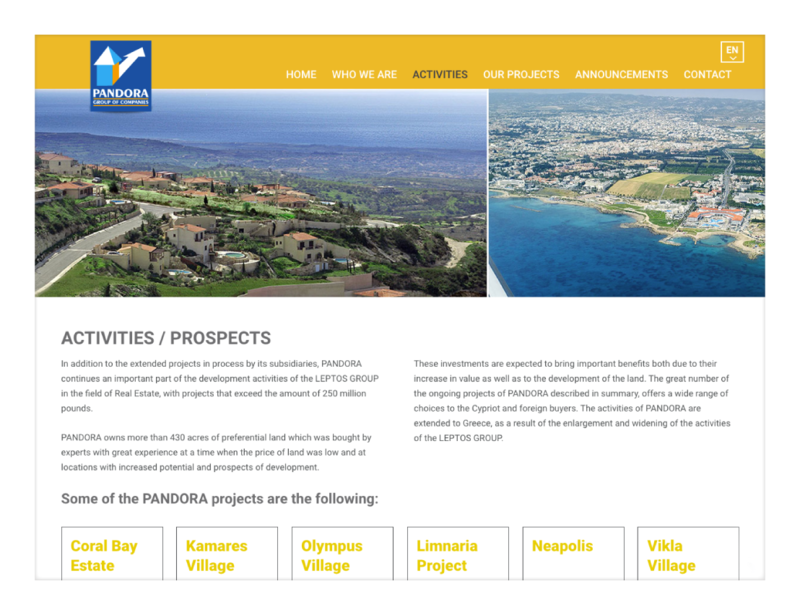 It is the owner of huge lots of preferential land as well as the undertaker of many ongoing housing, commercial and tourist development projects domestically as well as in Greece. Having been selected by such a large organisation kind of makes us feel proud! We wish to thank the nice people of Pandora Group for their excellent collaboration and comprehensive instructions. This website was a breeze to make as they made it so easy for us. Thank you.